Half Way to Weight Loss Goal! Home / Blog / Half Way to Weight Loss Goal! Considering that the average person should be able to lose 1 to 2 pounds of fat per week; I’m very proud to tell you that I have lost 10 lbs. in 20 days. Is it 10lbs of fat? No. But I have increased my protein intake and increased the frequency of strength training – so there is no muscle loss either. That leaves water weight. And I’m OK with that! That’s one of the bonuses that comes with a focused initial weight loss effort- losing your puffy face!! Another bonus is that its 10 lbs of weight off my knees and other important joints. Finally, it builds momentum. This momentum will be key as I depart for Los Angeles tomorrow for 8 days. To help my focus I have a mini goal within my main goal- come back home under 190; my goal weight is 183. Secret to my success? Eat Steak! and my workouts with “hard on ya Tonya”. Actually there is more to my diet but the steak is delicious. and my workouts with Tonya are perfect!- hard and I hate ’em but they are perfect as according to the rules of the cave man ‘Grok’ in the book “Primal Blueprint”. (basically interval sprint training and lifting weights for about 30 minutes two times per week). I additionally eat some fruit every day and typically have a sweet potato with dinner. I have not felt deprived at all. Add a comment if you too have had success with this type of eating. You can also contact Tonya here @ Energy Fitness to provide you with a “primal” meal plan. Talk with you next from Pacific Palisades, Ca. 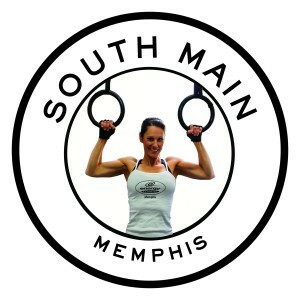 interested in our Personal Training Services click here or call us 901-466-6242. Interested in our Massage or Body Wraps? Click here. writing this while mark is away on the california trip, again while he is in the sunshine i am freezing in the cold. just posted on our facebook page (energymemphis is our facebook page name) pictures of me freezing in the cold waiting for the golden ticket for memphis city optional schools. so proud of mark and always wished for him to get the weight off sooner. we have been married for 11 years and he has had those pesky 20 lbs for at least 9.5 of the 11 years. you look great mark and thanks for saying my workouts work and they are just what you need, i have been trying to get you on “my program” for years now. as you all can see in his post, you really have to get the mental aspect of the weight loss thing. the mind is a wonderous thing when you put it to work and stick with your goals. Mark, congratulations on your halfway to goal mark. I have a question about the steak diet. Do you take anything herbal or otherwise that keeps you a regular guy? Seems like too much of a good thing is not always a good thing, I have often wondered the same thing about the Atkins diet as well. I guess prunes could be the fruit in your diet. Just asking………………………………………………jack of east texas (home of Bigfoot). Jack, Sorry about the delay in answering your question. You are right about too much of a good thing in my opinion. I eat tons of veggies, nuts, seeds and fruit in addition to the meat, fish and fowl. I just dont eat ANY grain products or sugar. As far as regular…Im just like the ole 7:14- Im on time! !